Chrichton's World: Review The Equalizer 2 (2018): Even worse than the original! Review The Equalizer 2 (2018): Even worse than the original! WOW! Standards sure have been lowered significantly. 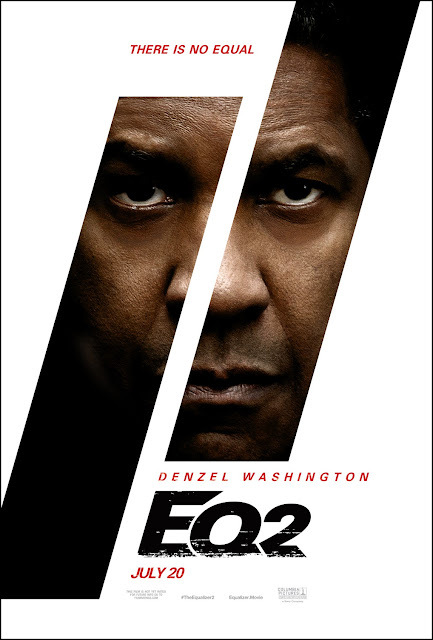 All I could read was praise for this sequel that according to Denzel Washington himself was better than the original. But not only was it worse it's not even entertaining. While the original was disappointing and underwhelming it at least managed to entertain me somewhat. The Equalizer 2 is boring from the get go. Yes, there were some good moments. Only those were brief and played at your heartstrings. This of course was done deliberately to glorify Denzel's McCall. 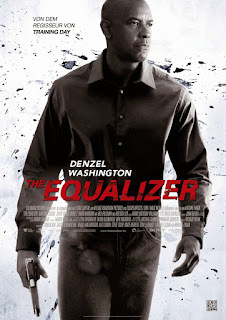 Like it wasn't enough to actually show more of him doing the Equalizer things. The few times he comes into action there is zero tension or excitement. It also does take a while for things to be happening. I mean the pacing is incredibly slow. This wouldn't have been a problem for me if I was made to care about the characters and their events. Like in the original everything feels so detached and distant. Has director Antoine Fuqua even seen the TV Show? Edward Woodward as Robert McCall might have been cold blooded and effective he was passionate and determined about giving the people the justice they deserved. For Washington's character it seems more like a remedy, therapy or just a hobby. The little plot that is present is so weak and predictable that I am surprised so many people bought into the hype and it's praise. Deep down this film is even too embarrassing to be shown very late at night. I figured out what was going on the minute I saw the actor appear. Talk about typecasting. So they couldn't even bother to hire multiple actors to misdirect you? The motivation given for this character is the laziest I have seen. Then what about the action? Surely this must be good? Look, it's always compelling and entertaining to see a main character break bones and what not. However in this day and age, you should at least try to up the ante by making it more interesting. There are a number of ways you can accomplish this. In this case I wanted to have seen a decent shoot-out and combat scene. One where McCall does meet his match or worse where old age has caught up with him. Very simple ways to make it look like there is something at stake. But no, they couldn't be bothered. There isn't a single scene Washington is in danger or close to. Overall this is going to be a giant waste of your time. Disregard the good reviews for this film. They either have been bought or simply don't want to admit this is bad. Whatever their reason they are lying.